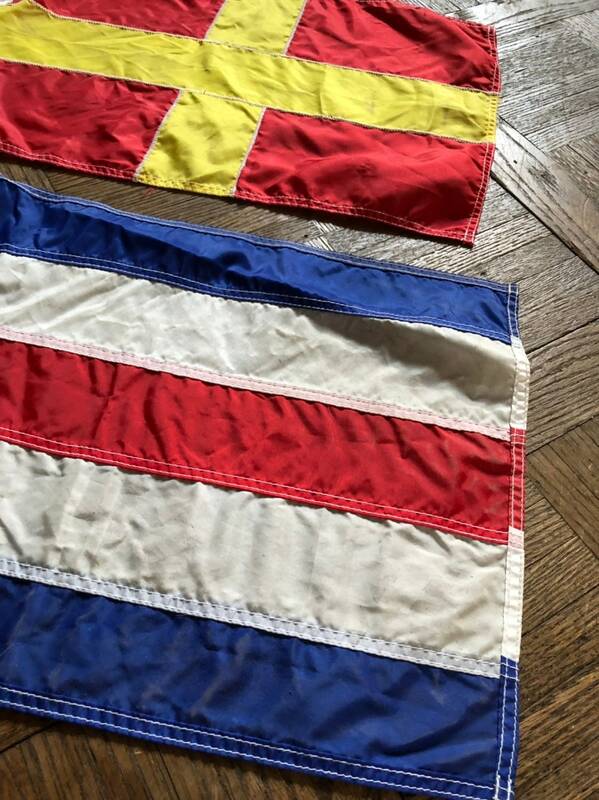 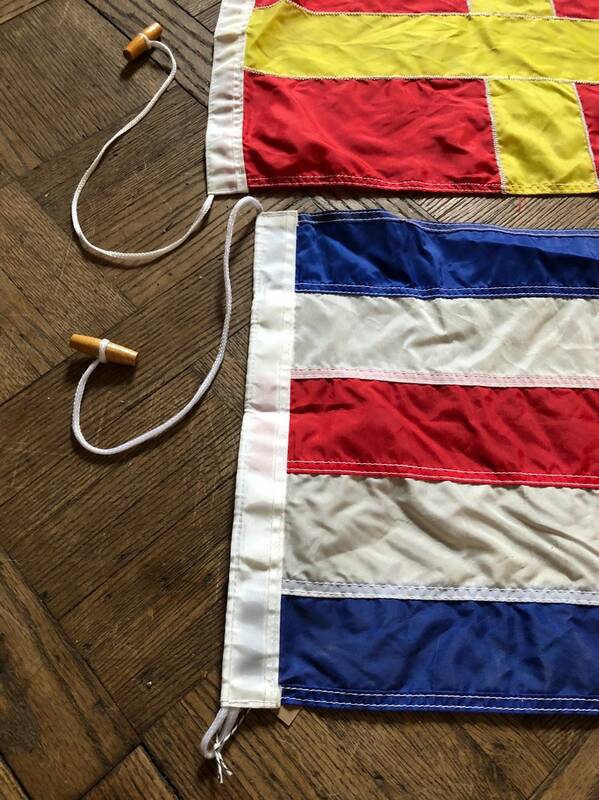 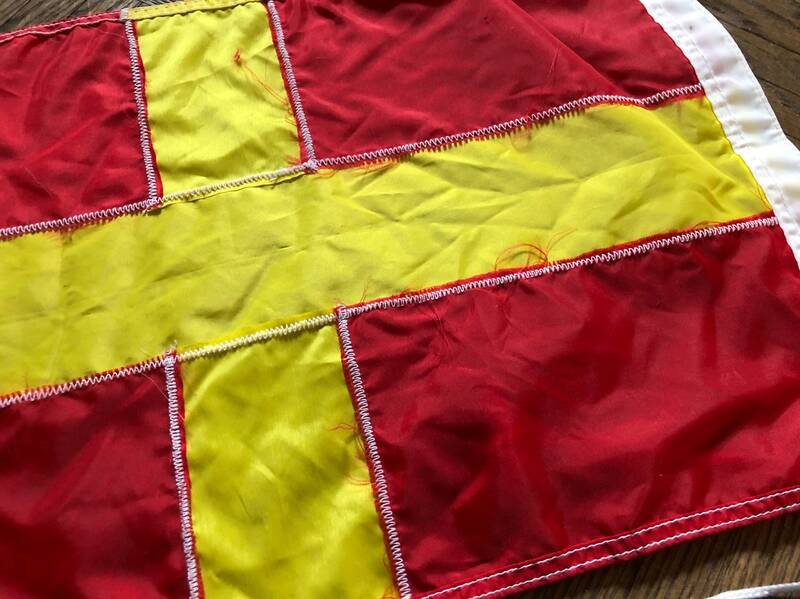 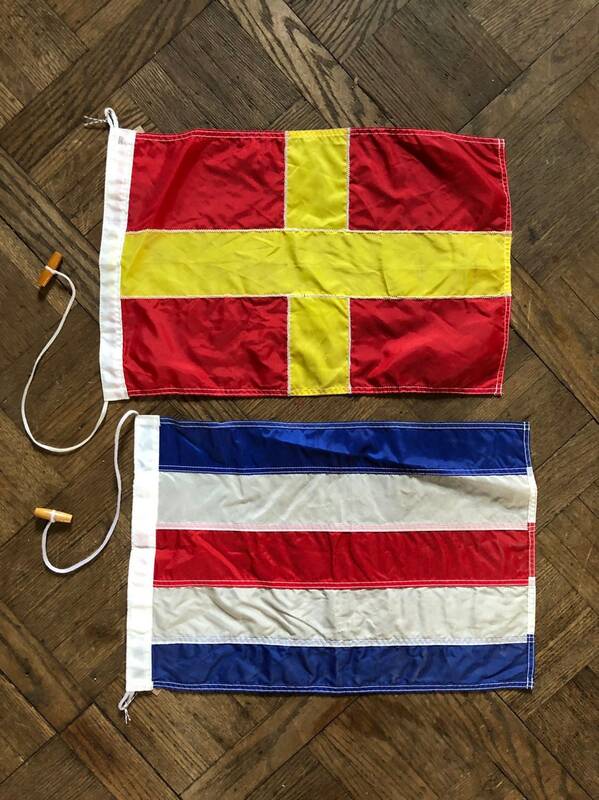 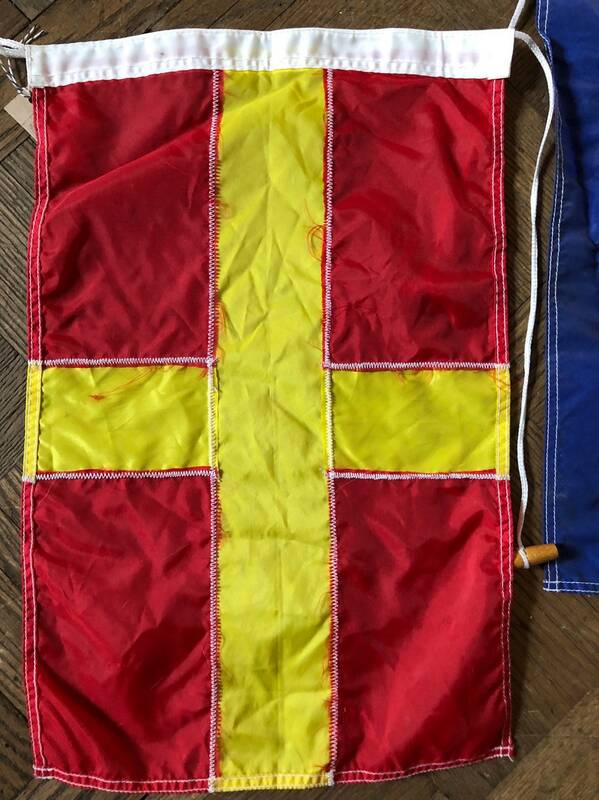 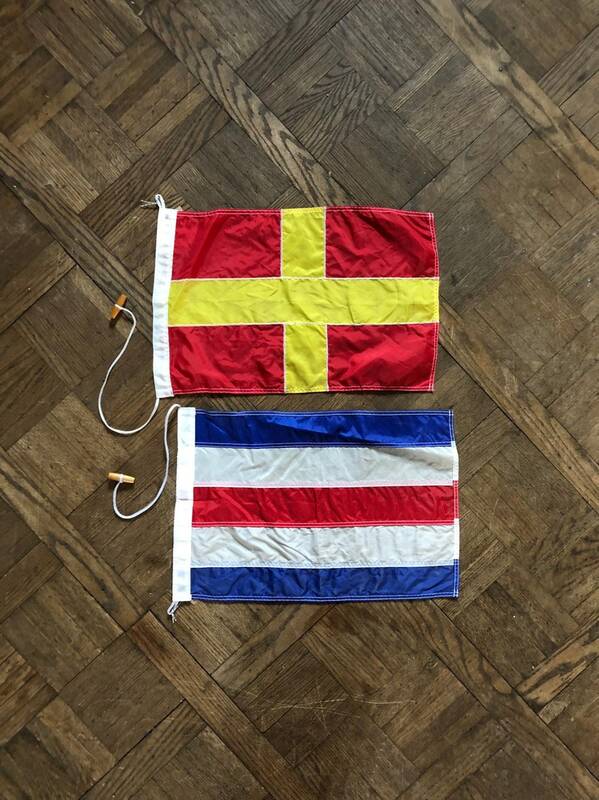 Fabulous pair of vintage signal flags. 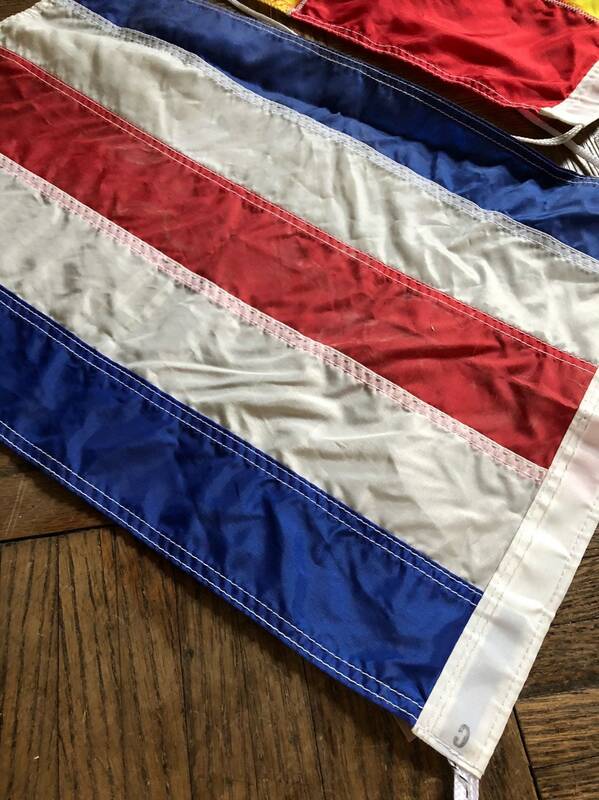 C Charlie, the red, white and blue stripe and R Romeo, the gold and red. 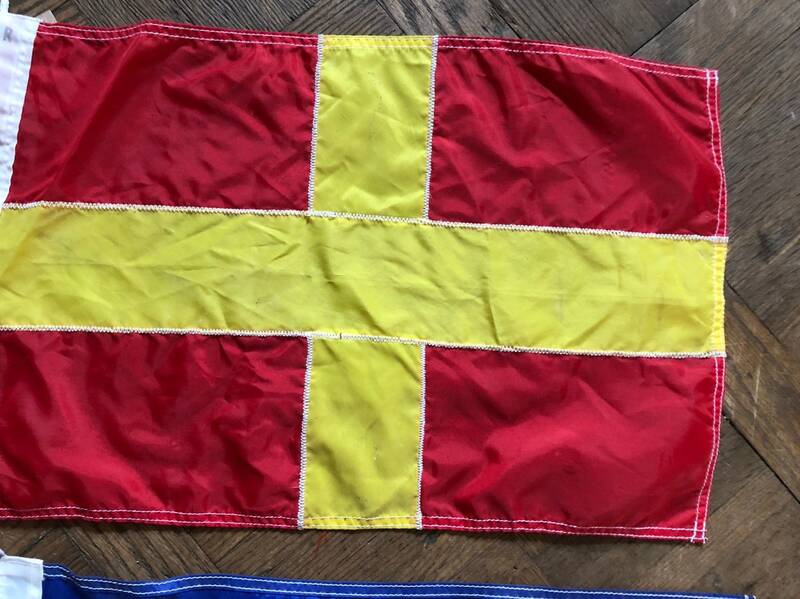 Made from lightweight nylon, easy to frame or display. 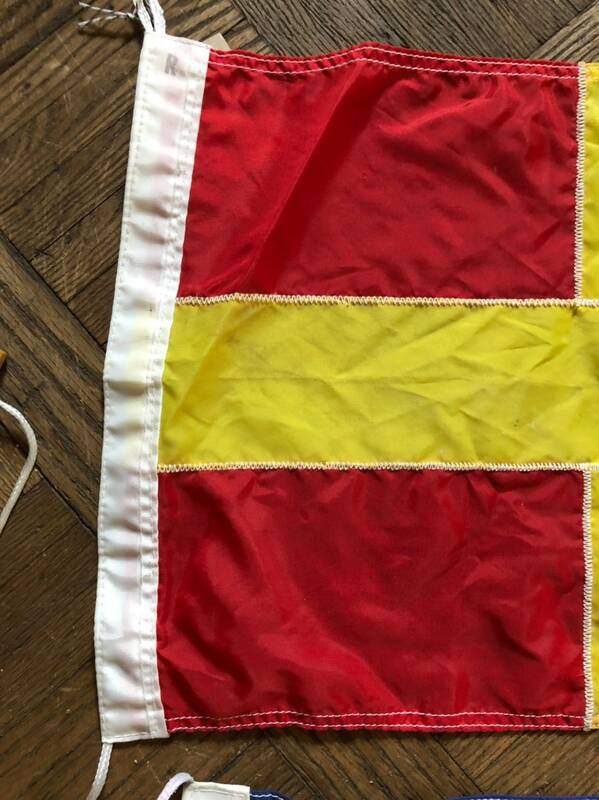 Typical wear from light use. 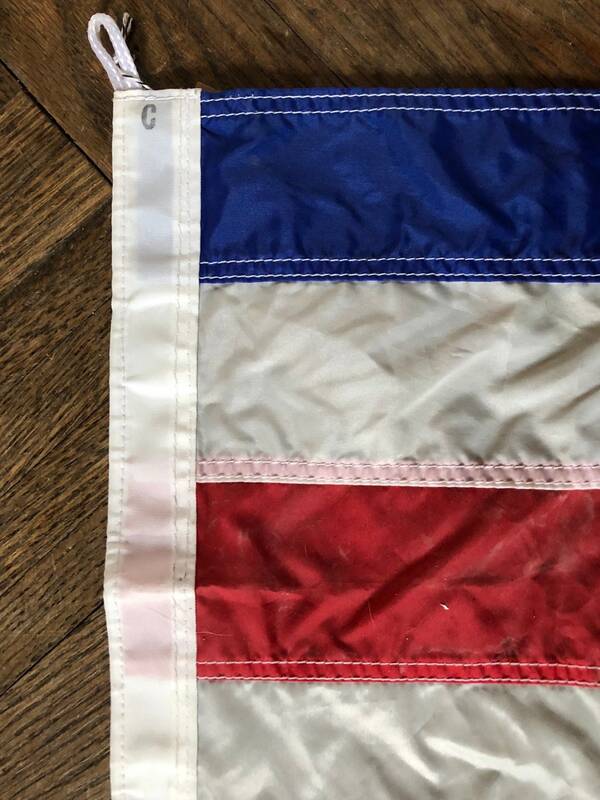 No major wear or damage.